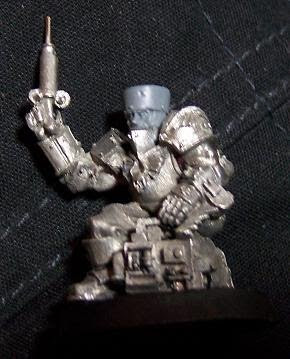 First up there a new picture of the combat-servitor, who is nearly ready for painting. Just need to sort out some small gaps etc and he'll be ready for paint. Which is a good thing as I need to finish him within a week if I can to use him for a painting challenge I'm participating in! 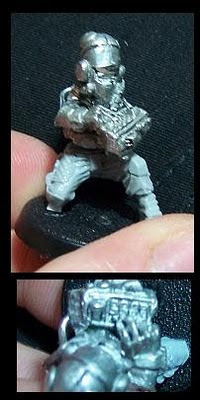 Next we have the wip chirurgeon, who is actually a very simple conversion using a Vostroyan medic and a bretonnian militia head. I got this mini from a trade quite a while ago and since both the head and syringe were already messed up I figured it would be ideal for this project. Once a package of bits I ordered arrives he'll get some company in the form of a servo-skull. And finally there's the sage, who is still in an extremely, early stage of conversion. 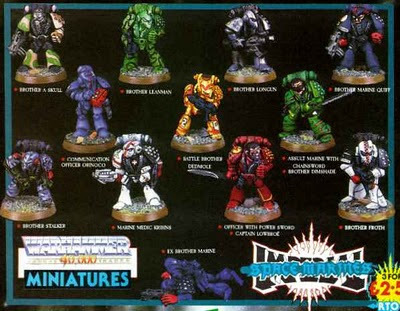 He looks a proper mess right now, but I hope that some tlc will bring this old school mini back into the 40K universe. 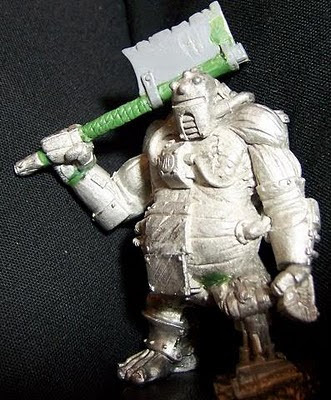 For those we think they have seen this mini before somewhere, you're not mistaking. The torso is indeed the upper half of a Rogue Trader SM called communications officer Chinoco. I got this mini off Ebay a while back because I just love the style of the helmet and the techglove, very predator-like. The lower body had to go though, he's suppossed to be an Inquisitorial henchmen and not a SM. Same goes for the shoulderpads, which will be replaced by sculpted arms and possibly some nifty shoulderguards.